You are currently browsing the category archive for the ‘Webster’ category. This Saturday, June 26, 2010 I signinrd SUMMER AND AUGUST at our favorite book store in western Massachusetts; Booklovers’ Gourmet, 55 East Main Street, Webster, MA. As we expected, this was again a great venue! Thanks to all our “old” friends for returning; and for the new support received! And to Deb for hosting this event! We look forward to our next visit. Speaking of next visits…our next visit is a return to Yellow Umbrella Books in 2 weeks. How exciting is that? That starts a run of 7 book stores in 7 weeks! By the way, today we have a book review, article and interview coming out in The Nashua Telegraph! I can’t wait to see that! Fun Stuff about K Spirito – Chapter 9 – Subtitle: Debra Lawless, reporter for the Cape Cod Chronicle, Author and most of all friend! 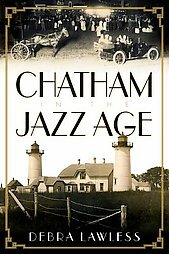 Debra Lawless, reporter for the Cape Cod Chronicle and a wonderful friend, has a stupendous book, Chatham in the Jazz Age, published in 2009 by History Press. 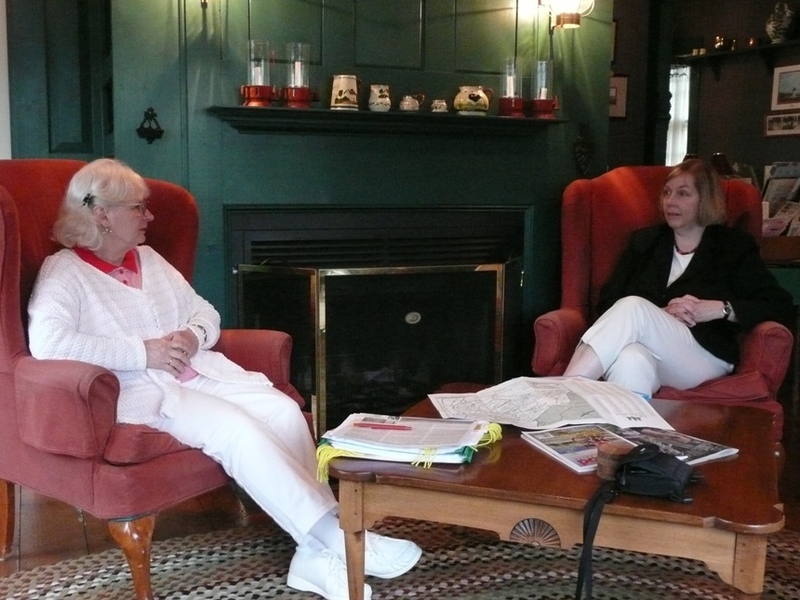 Debra investigates five prominent residents of Chatham, MA (Cape Cod) – Harold C. Dunbar, Alice Walker Guild, Heman Andrew Harding, Joseph C. Lincoln and Alice Stallknecht Wight – and reveals their contribution to putting Chatham on the map as a national tourist destination. She also uncovers some secrets of this supposed Eden. It’s a truly great read! Debra is working on the sequel to Chatham in the Jazz Age, and says it’s going well. I personally can’t wait! If you are familiar with LaRosa Chronicles and know of my next book, Summer And August, you will see Debra investigating a murder in Chatham. Yesterday, Saturday, November 14, 2009 we were signing books at the 27th Annual Holiday Craft Fair held at Thorntons Ferry Elementary School, Merrimack, NH. This was the first year we have participated at this holiday fund raiser for the Parents and Teachers for Thorntons Ferry. Thanks to the Parents, Teachers and Friends of the Thorntons Ferry Elementary School it will not be our last! Our dear friend, Christi, who we originally met through our sponsoring Merrimack Youth Baseball, came to purchase another book for her lovely daughter, Meagan. Christi and Meagan we appreciate your continued support and friendship! Thank You! Thank You! Thank You! Thank You! Dozens of new readers purchased one or more books of the LaRosa Chronicles, for themselves and as gifts! To name a few: Coleen, Eva, Naomi, Kathy (from BAE Systems), Anne, Cindy B., Cindy W., Kathie, Sue (Merrimack teacher), Lauren, Heidi, Janis, Sarah, Kathy (and son John), Linda Cotter (who had the incredible Craft table beside us-also from BAE Systems). To you all, and to all those whose names are missing, Thank You! Thank You! Thank You! Thank You! Literally hundreds of people were introduced to the LaRosa Chronicles for the first time at this event, which is what it’s all about. Many of you are visiting my Blog and Website for the first time right now! And I am confident you will like what you find. I look forward to our seeing many of you who are in and around New Hampshire in the next couple of events before the holidays. And I hope to hear from many others we have met from out of the local area by email. Please visit the Blog and Website often to find out the many new happenings! Remember, an autographed book, personalized to the person of your choice, is a unique and very special gift! The Franklin Pierce University NH Chapter Alumni Association Network and Social on November 12, 2009 was an Incredible Success! Wow! Sal and I and over 50 other Alumni, current Students, Faculty and Staff attended the Franklin Pierce University (FPU), NH Chapter Alumni Association Network and Social on Thursday, November 12, 2009. What a wonderful time was had by all at the Salt Hill Pub in Lebanon, NH. We chatted with friends and Alumni that we knew – most of all we had the opportunity to meet other fascinating members of the FPU Alumni! We all appreciated Dr. James Birge, President of Franklin Pierce University, for taking the time to attend this function. He spoke to the group and then spent the rest of the event going around and talking with almost everyone individually! Now we can’t wait for the next networking social! Sal and I will be attending the Franklin Pierce University (FPU), NH Chapter Alumni Association Network and Social on Thursday, November 12, 2009. The function takes place at the Lebanon Center for Graduate and Professional Studies in Lebanon, NH. I have maintained an active role as a volunteer with the FPU Alumni Association and this evening will be simply a great deal of fun connecting with alumni, current students, and Lebanon Center faculty and staff. We have made so many friends through the fpu Alumni Association and many book readers! And we have attended many functions supported by the Alumni Association. We’re looking forward to this fun function. First and foremost, this Veterans Day, I would like to give my respect to all those who have served to protect our country! God Bless America! This coming Saturday, November 14, 2009 I will be signing books at the 27th Annual Holiday Craft Fair held at Thorntons Ferry Elementary School, 134 Camp Sargent Road in Merrimack, NH. This is the first year we have participated at this holiday fund raiser for the Parents and Teachers for Thorntons Ferry. Since we live and work only a few miles from this school, I look forward to our seeing many people we know and meeting many new readers through this venue. If you’re anywhere near Merrimack, NH we would love to see you! Camp Sargent Road is off Continental Blvd, which runs between Route 101 and the Daniel Webster Turnpike. It’s easy to get to from any direction! I will have only five of six titles with me! Yesterday, Tommy Gray Drowned sold out last week and it will be a while before we receive more copies. What an Incredible Turnout We had at St. Elizabeth Seton Parish Activity Center on Saturday, November 07, 2009!!! Saturday, November 07, 2009 we had an absolutely incredible turnout at St. Elizabeth Seton Church in Bedford, NH! Countless thanks to all the returning book purchasers, It’s great to see so many people who have become friends over the seven years attending this event. it’s wonderful to see and hear from so many satisfied readers. Many thanks to the incredible number of first time book purchasers! My growth in readership is inspiration to become the best storyteller I can! I can’t thank everyone by name, but I will pick Lana to thank for being the best friend and returning reader and Valerie for being the best new reader of the day! If you were unable to make it to this event I invite you to come out to the Thorntons Ferry School in Merrimack, NH next Saturday November 14, 2009, between 9:00 am and 3:00 pm! I hope to see you there!